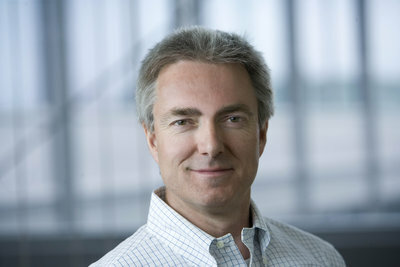 Automile is pleased to welcome as Chairman of the board, Martin Hauge, General Partner at Creandum. Martin oversees a number of Creandum investments: Fitbay, Vivino… Before Creandum, Martin has been the co-founder of several companies in Scandinavia: Interaction Design (Norway) in 1997 (acquired by Adcore 1999) and Creuna (Denmark) which he successfully exited in 2004. Martin holds an MSc from NTH-NTNU in Trondheim with law studies at the University of Copenhagen and business studies from IMD in Lausanne and Stanford GSB in Silicon Valley. During his last visit at the Automile office in Stockholm, we have asked Martin to tell us a few words about his Automile experience. What do you like about the Automile team? There are 3 things I like about the Automile team: of course, I like the strong drive that I see all the way from Jens Nylander, founder and through out the organization. When I visited the office, I got this good feeling this team is in for it and will be able to build something big. Then I like the attitude against customers and the market. I’ve got the impression the Automile team is listening to the market and trying to feel what the market needs. The third things I like is what the Automile team has produced; I think Automile PRO is a wonderful fleet management product. What was your first experience when using Automile products? I mean the overwhelming thing with Automile is the UI, it’s a new generation of UI all the way, meaning all the way from when you order Automile products, the follow-up of the orders, the SMS that I received, all the way to installing the app and seeing the application running. You get the feeling that some people have been thinking this through, very thoroughly. What makes Automile PRO the best fleet management solution, for businesses of any size, on the market? Well, there is only one proof point and that’s that customers they want it and they keep using it. There has not been any product return and the level of mobile app retention rate of Automile PRO is among the best app performers i.e. consumer messaging app. I’ve seen interviews with customers where they give their appraisal to the product, from the way it’s solved, the price point that the product has, the easiness to sign-up from the app in 40 seconds (10.5x faster than anyone else on the market) to the very low threshold for making this work in their company organization. How would you describe the Automile journey for the years ahead? The Automile journey is all about to have all cars connected. What are the DNA elements of Automile that’ll help them to surface as an international leader in the highly competitive connected car startup space? I would say this is an execution race focusing not only on delivering a product but rather in making the best product available to customers that are looking for a fleet management solution with a simple but modern look and feel. And second in ensuring a trustable product built on a trustable platform where vehicle and driving data are not misused and treated with high integrity for the peace of mind of its owners: the car owners and drivers. Safety will not be limited only to the data Automile processes but safety will also be extended to the Automile experience on the road by providing an extra degree of safety for the cars and their family, complementary to the safety built-in by car manufacturers. Back to this execution race, I’ve seen this entrepreneur, Jens Nylander in action before and I know if anyone can go in and take leadership in this market, it’s him with a strong team around him. In addition, their execution speed is impressive, Jens and Felix, they managed to develop a native app for Windows Phone in less than a week, probably the nicest fleet app on Windows Phone store. Now he has got Jacob, one of the best business executive I’ve met in the Nordic market. Together with him and I’m sure that those two will be able to conquer the European market and then of course next step for Automile, it is also to establish themselves in the US market and on the global market. To which extent has Automile received interest for its platform and data beyond its core fleet business customers? Not only has Automile received interest from the general car community but Automile has also received serious interest from people interested in the data, the big data that Automile is collecting. We’ve had an interest from many parties like road authorities who want to get a better overview of the quality of the roads, Automile has all the data necessary for giving those people working with roads, detailed information about the quality of each kilometer and not only km but also meter of the road where Automile is operating. The same with temperature measuring, Automile with all the cars driving with an Automile box out there, we can deliver more detailed temperatures in a specific area, probably better than anyone else. Last but not least we have received interest from software, media and car companies. So Automile has a bigger potential than just being an app for looking after your car. There is so much data out there, we strongly believe that Automile is going to be a large and global data provider to everyone who’s interested in what’s going on the roads and the vehicles all around the world. Direct sales of big data from cars will generate $ 14.5 billion revenues in 2020 according to IHS Automotive.